Arrival of group to Prague International Airport Meet with local guide (speaking in requested language) who will keep signature of the group. 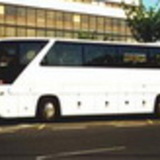 Transport by deluxe coach to hotel. Arrival to the hotel, check in will follows, maps a brochure about Prague are prepared in clients rooms. Time for leisure and relax. Meet with guide in the lobby of hotel and transfer by deluxe coach to restaurant Arrival to the restaurant. Enjoy dinner - 3 course menu, mineral water, coffee and 2 beers p.p. Part of the restaurant will be reserved exclusively for the group. Printed colored menus on the tables. Tour thru the brewery is arranged if requested. For the atmosphere is playing and singing accordionist. After dinner transfer back to the hotel. Overnight at hotel. Full buffet breakfast at hotel restaurant Morning meeting with guide and transfer for tour to Prague castle. Visit of St. Vitus Cathedral, Golden lane, Old Royal palace, Mihulka Tower, Palace garden. Walk down thru Nerudova street, Malostranske Square and cross the Charles Bridge. Stop at local restaurant for coffee break. After crossing the bridge walk to the restaurant Stone Bridge which will be reserved for lunch. 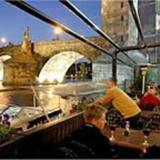 This restaurant is located few steps from Charles Bridge. 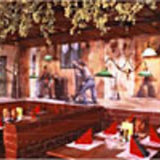 Part of restaurant is booked for the group; menus are on tables together with flower decoration. Enjoy 3 course menu with mineral water, coffee and 1 beer per person. After the lunch walk to Jewish quarter for Prague Jewish ghetto tour. 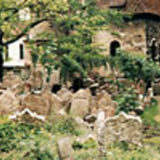 Visit of Jewish museum, Old Jewish cemetery and Pinkas, Klaus, Spanish, Maisel synagogues and Ceremonial hall and optional visit of Old New synagogue. End of visit and walk thru Parizska street to Old Town Square for short visit. Time for leisure and shopping. End of city tour and transfer back to the hotel. In the evening the group will meet guide in hotel lobby. 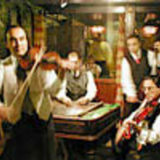 Transfer by coach for dinner at U Pastyrky restaurant – folklore restaurant with Gypsy music dances. Full buffet breakfast at hotel restaurant. 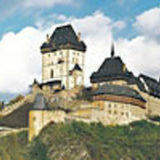 Morning meeting with guide for trip to the most significant medieval castle - Karlstejn. After visit - lunch at local restaurant U Karla IV. Enjoy 3 course menu, coffee and 1/2 bottle of good domestic wine or 2 beers per person.